George H.W. 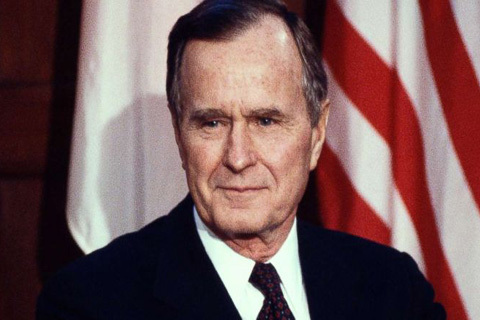 Bush, the 41st President of the US and father of the 43rd, who steered the nation through a tumultuous period in world affairs, has died at the age of 94 in Houston, his spokesperson Jim McGrath announced. When Parkinson’s disease mostly silenced him in public, Bush flashed his sense of humour by sporting colourful striped socks. Previous articleDoes The Word Shi’a Exist in Quran And Hadith?